Giving the people what they want – Garage Dusty Exciting Car Team! I’ve been watching what you people have been searching for and viewing on my blog, and I think I’ve worked out the ultimate post. 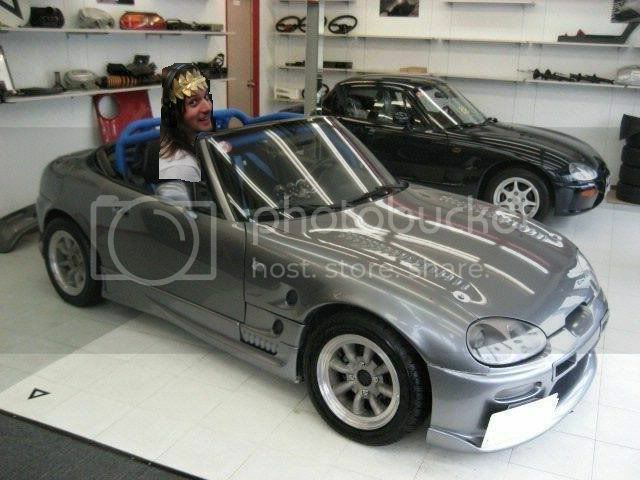 Everyone wants to be popular, and in blogland I guess that’s measured by hits, so with that in mind here’s Chris De Cinque from Closure in Moscow driving a Suzuki Cappuccino. Enjoy.